Motown has risen from the dead. Detroit’s famous “Big Three” automobile brands—Ford (NYSE: F), General Motors (NYSE: GM), and Chrysler, now owned by Fiat Chrysler Automobiles (NYSE: FCAU)—are incorporating leading-edge technologies, embracing Silicon Valley’s spirit of risk-taking, and breaking new ground in autonomous and electric vehicles (EVs). But it’s not just in the United States. Carmakers in Japan and Germany are in the ascendancy too, as consumers around the world flock to auto showrooms. The trend is pronounced in emerging markets such as China and India, where newly affluent consumers are eager to buy cars. It all begs the question: are automobile stocks good investments now? The answer is yes, but you must pick the right ones. Below, we pinpoint the top five for you. The world’s love affair with the automobile should continue unabated in 2019, especially in America. In the U.S., unemployment is falling, home prices remain robust, and gross domestic product growth is on track. Consumer spending and confidence are blossoming, sending more buyers into dealerships. Automobiles and trucks are integral to modern life, which makes the stocks of vehicle manufacturers bellwethers for the broader economy. In 2017, about 17.1 million such vehicles were sold to customers in the U.S., down from 17.4 million units the year before. But 2017 was only a temporary speed bump. The U.S. Bureau of Economic Analysis estimates that sales are on track to reach about 17.9 million vehicles by year-end 2018. Demand should hold steady in 2019 as economic growth remains (albeit modestly) on track. The auto industry has come a long way since the 2008-2009 financial crisis and Great Recession, when the Big Three automakers of Ford, GM and Chrysler asked the U.S. government for financial assistance to stay afloat. Uncle Sam’s $80.7 billion bailout of the auto industry lasted from December 2008 to December 2014. The balance sheets of the big carmakers are now sound and they’re poised for even greater profitability down the road. As stocks in a host of other sectors stumble amid geopolitical uncertainty and excessive valuations, auto stocks still represent growth opportunities, at decent valuations to boot. But which auto stocks? Let’s find out. Ford Motor (NYSE: F). This iconic brand gave birth to the auto industry with the Model T — indeed, Ford spawned the revolutionary concept of factory mass production — and it continues to be a top innovator. General Motors (NYSE: GM). Once given up for dead, this blue-chip carmaker made good use of the federal government’s bailout in 2008 to reinvent itself. Fiat Chrysler Automobiles (NYSE: FCAU). Based in Europe, this merged entity boasts a lineup of popular brands that command intense consumer loyalty around the world. Toyota (NYSE: TM). Based in Japan, this carmaker is renowned for the quality and dependability of its cars. Toyota also occupies the vanguard of autonomous vehicles, a major breakthrough technology. Daimler AG (OTC: DDAIF). German-based Daimler boasts the Mercedes line, which is synonymous with luxury automobiles. The company benefits from a healthy European economy and strong demand in North America. Automobile stocks represent ownership in companies involved in the design, development, manufacturing, marketing, and selling of motor vehicles. The automobile industry, and ancillary industries such as parts manufacturers and metals producers, are indispensable to the world economy. Demand for automobiles is growing and shows no signs of stopping, as the number of middle class consumers grows around the world. Automobile stocks can provide both ballast and growth to your portfolio, if you know what to look for and when to buy. How Do You Determine What Qualifies As The Top Auto Stock? Valuation and forward earnings projections are crucial. The ability to innovate is another important factor. The companies that are tardy in adopting new technologies inevitably fall behind. Many will remember when Detroit fell behind Japanese automakers. In the rapidly evolving automobile industry, the companies that devise new variants and models and cater to the changing needs of customers are positioned to outperform. Here’s our take on the five top auto stocks to buy in 2019. With a market cap of $36.1 billion and annual unit sales in fiscal year-end 2017 of 6.25 million, Ford Motor is the sixth-largest automobile manufacturer in the world. The company sells its automobiles and commercial vehicles under the Ford brand and its luxury cars under the Lincoln brand. It also offers crossovers, SUVs, trucks, and vans. A strong factor in Ford’s favor is its high market capitalization of $51.4 billion and its tradition of innovation. The company is financially rock solid, with manageable debt and lean operating costs. Along with capital appreciation potential, the stock also offers investors a high regular income in the form of dividends. The current dividend yield is 6.63% compared to the consumer goods industry average of 2.14%. Henry Ford, the legendary captain of industry who founded the company in 1903, would have been proud of the company’s technological prowess in the 21st century. Notably, Ford Motor is using 3D printing technology to revolutionize the automotive prototyping process. This Detroit stalwart also is focusing on gasoline/electric hybrids, such as its Fusion and C-Max models. These models are gaining market share and they’re proving popular with consumers who want a foot in both gas- and electric-powered worlds. Ford trades at a forward price-to-earnings ratio (FPE) of 6.8, a deep discount compared to the FPE of about 17 for the S&P 500. The average analyst expectation is for the company’s five-year earnings growth to reach 15% on an annualized basis. General Motors (market cap: $49.5 billion, with annual unit sales of 6.88 million) is the world’s fifth-largest automaker. The company designs, manufactures, markets, and distributes vehicles all over the world. Noteworthy brands include Chevrolet, Buick, Cadillac, and many more. General Motors is the only company with a fully integrated solution for self-driving vehicles and has committed to launching at least 20 new EVs by 2023. GM makes the popular Chevrolet Bolt, an all-electric subcompact hatchback marketed by Chevrolet and developed and manufactured in partnership with South Korea-based LG Corp. (OTC: LGEAF). General Motors is also a high dividend-paying stock, with a current dividend yield of 4.28%. GM trades at a FPE of 6, making it a bargain. The average analyst expectation is for the company’s five-year earnings growth to reach 8.5% on an annualized basis. 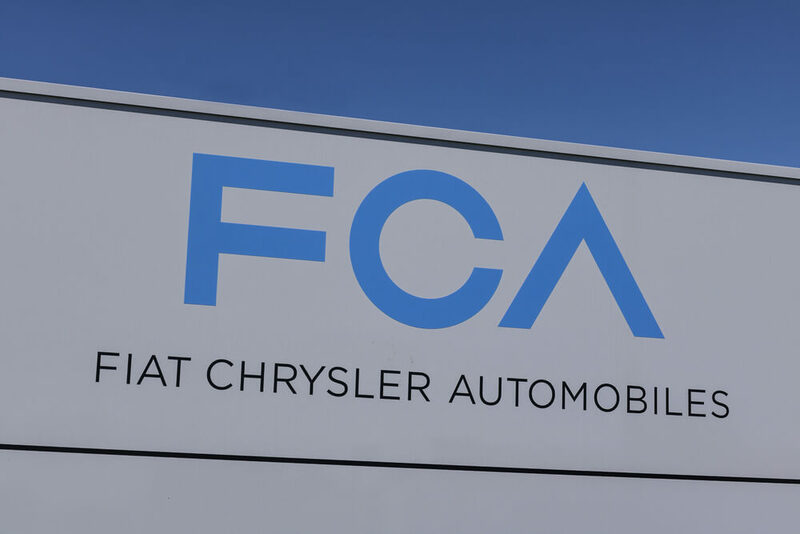 Fiat Chrysler (market cap: $24.5 billion, with annual unit sales of 4.86 million) is the world’s eighth-largest automobile company.The group was established in late 2014 by merging Fiat and Chrysler into a new holding company. The parent company is based in the Netherlands. The firm’s major brands include Chrysler, Dodge, Fiat, Jeep, Ram, and Maserati, among others. Fiat Chrysler’s leading EV offering is the Chrysler Pacifica, which is gaining traction in the market. Much of Fiat Chrysler’s global growth derives from the widely beloved Jeep brand, as well as the growing SUV market in emerging markets. Fiat Chrysler also believes strongly in innovation and operates hundreds of research and development centers. FCAU’s FPE hovers at 4.2, making the stock absurdly cheap in light of its outsized growth prospects. The average analyst expectation is for the FCAU’s five-year earnings growth to reach 20.1% on an annualized basis. Toyota Motor (market cap: $168.4 billion, with annual unit sales of 10.12 million) is the world’s third-largest carmaker. Increasingly, the lines between technology companies and automakers are blurring. Most of the major automakers are making forays into autonomous vehicles, but Toyota has been the most aggressive in pursuing the capability. With a life expectancy significantly higher than that found in the rest of the world, Japan has a disproportionately elderly population. Self-driving cars offer a promise of safety and mobility appealing to seniors, who may fear driving themselves or have family members arguing against it. The carmaker has enlisted former robotics executives from Alphabet (NSDQ: GOOGL) to help with research on autonomous vehicles. Toyota boasts a long history of revenue and earnings growth. The company also holds a special position of prestige in the automobile industry due to the high quality of its cars. The Toyota Production System is used to manufacture automobiles on a “customer-first” principle. The system also helps in eliminating waste and reducing costs. Toyota’s forward FPE is 8.5. The average analyst expectation is for Toyota’s five-year earnings growth to reach 7% on an annualized basis. This maker of the famous Mercedes-Benz luxury line of cars also is the world’s largest manufacturer of commercial vehicles. Germany is an export-driven economy and Daimler (market cap: $60.3 billion, with annual unit sales of 3.3 million) is vital to the growth of not only its home country but also the European Union. 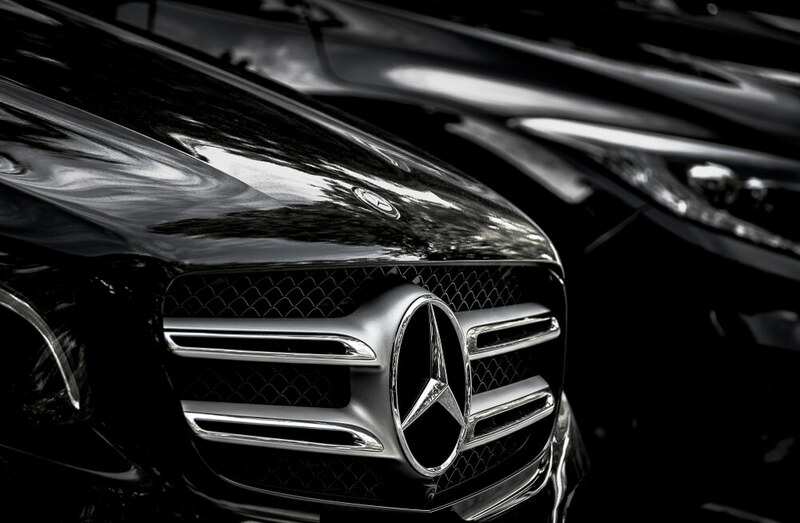 Daimler’s automotive products are among the most respected luxury names on the planet. Daimler has stolen market share from German rival Volkswagen (OTC: VLKAY) because of the latter’s embarrassing and costly emissions cheating scandal. Sales of autos are picking up across the Continent and investors are sanguine about the growth prospects of Germany, which remains Europe’s largest economy. The global trade war poses a risk for Daimler, as it does for all automakers, but Daimler’s year-over-year earnings growth in 2019 is nonetheless expected to reach 6.1%. The stock’s FPE is a low 5.8. If you’re looking for a combination of growth and relative safety, these blue-chip auto stocks can drive you there.